This item (chi mei n173dse g31 part), is currently unavailable and we are unable to locate this product at this time. For more details on why this product is out of stock, see the product description below. You are viewing a Chi Mei N173dse G31 Class I and fully compatible LCD display part.. We can supply this LCD with a MATTE (Anti-Glare) finish. 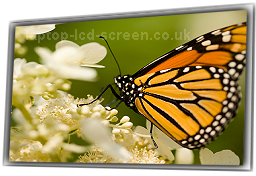 Please check that your original screen has a glass area of 17.3" inches diagonally (not including the frame) and has a maximum resolution of 3840X2160 (or is known as UHD resolution ). This screen's backlight is powered by LED backlight technology. The signal connector on this LCD is 40 pin and is an eDP displayport, with a 0.5mm pitch, at the bottom left side of the screen, when looking from the back. No reviews yet for the CHI MEI N173DSE G31 17.3, why not be the first to leave one? Laptop-LCD-Screen.co.uk guarantee you a working Chi Mei N173dse G31 screen replacement, or your money back. With our 13 years of trading experience, we can warrant that claim with real expertise. If you research our company, you will encounter our impressive accumulation of fantastic reviews on sites like Trustpilot and Google.